This program is for anyone who wishes to learn more about rowing, gain fitness, and be part of a team. You do not need to be fit or have a lot of rowing experience. As this is primarily a recreational team, the goals will be inclusion, fun, camaraderie, and education. There will also be opportunities for those who wish to explore a more competitive and challenging race boat. 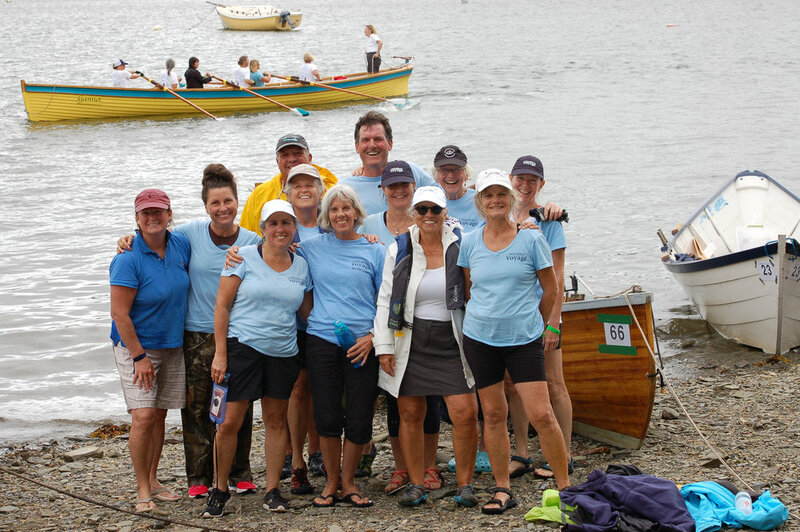 There is a tremendous traditional boat rowing community across New England and beyond, and this is a chance to travel to new locations and meet others in the rowing world. Ben Booth will coach the rows. In every session, all participants will be taught how to refine their technique, come together as a crew, and discover the safe and fun challenges of gaining the skill and strength to make the boat go! It is understood that there will be a wide range of interest, from those who want to race seriously, to a more casual recreational racer, to those who do not want to race at all and simply want to learn more about rowing and fitness on the water. For more information about this program, please contact Wendy Goldberg at racing@dharmavoyage.org.